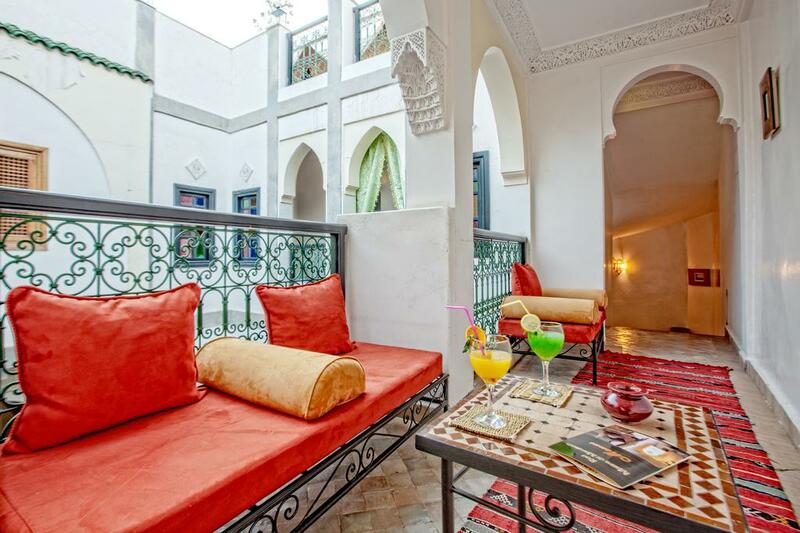 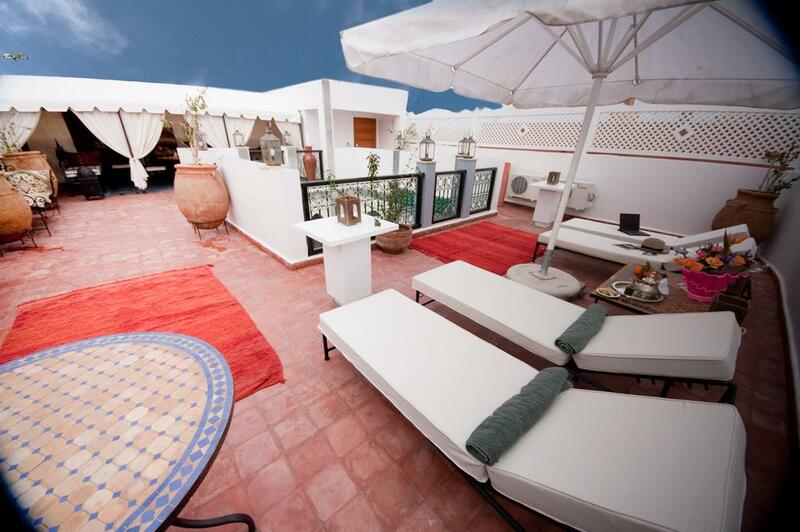 Your guest house, Riad “Marrakesh’s morning”, is a haven of peace and serenity in this colorful and noisy medina. 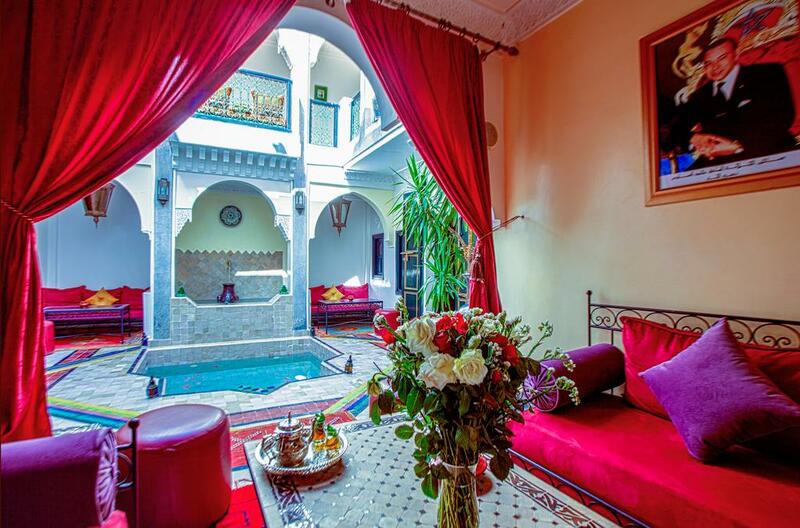 During the day, in this “small fortress” with thick walls, the noises of the street are hardly perceptible. 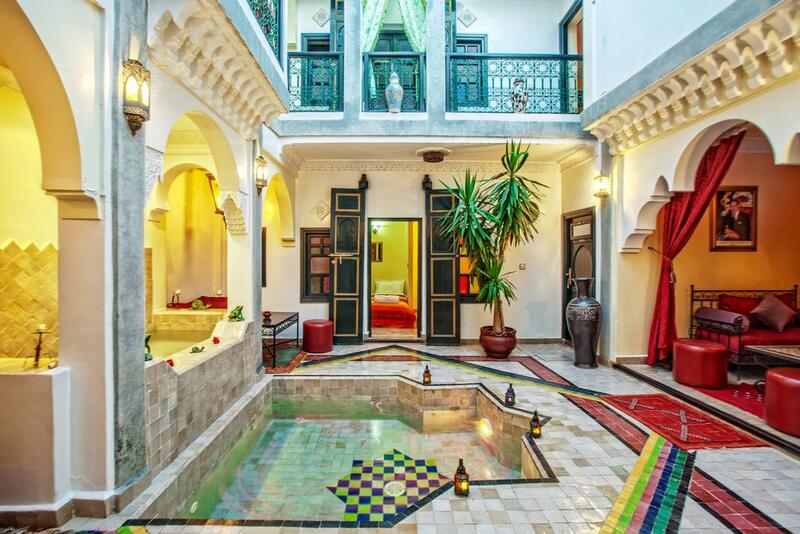 The cascade that pours its waters into the swimming pool brings a freshness and an incomparable well-being. 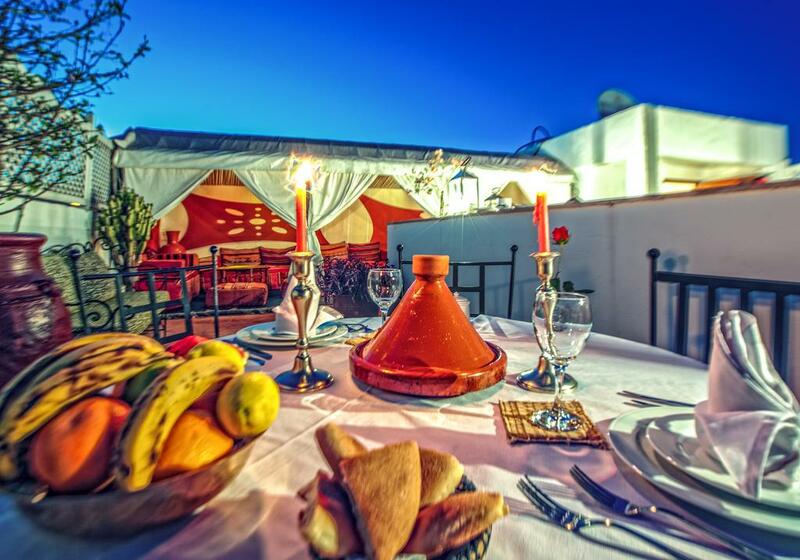 In the evening, with its sound at aperitif time, your guest house will emit a soft and soothing music. 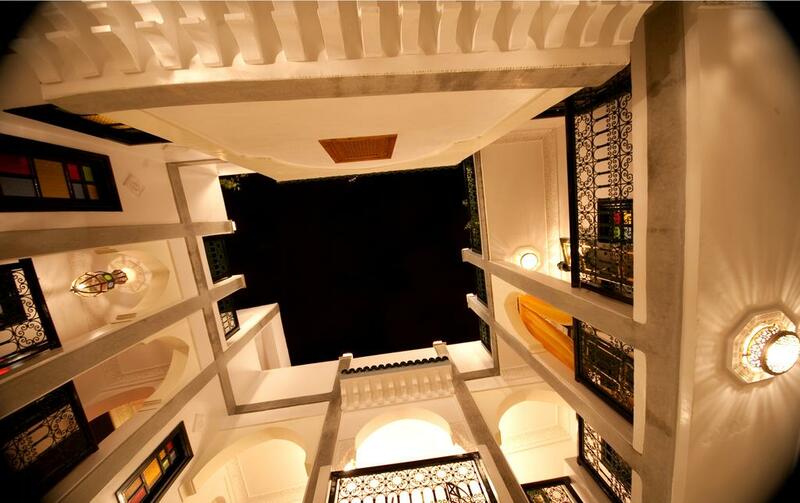 The nights are very quiet and conducive to rest after a day of travel or walking in this mesmerizing medina. 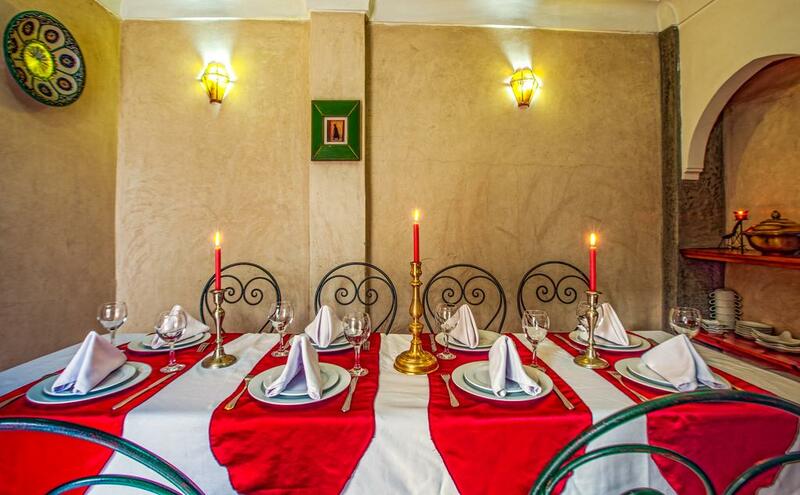 The room amenities will be very pleasant with, in particular, reversible air conditioning and high quality bedding. 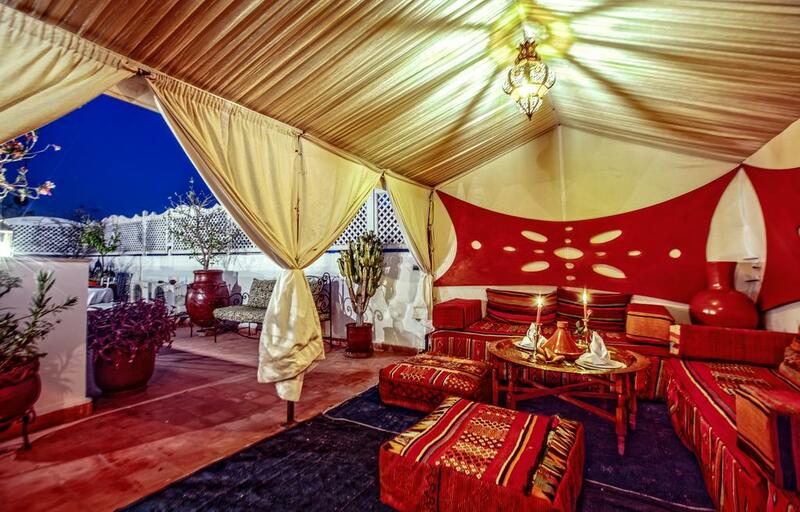 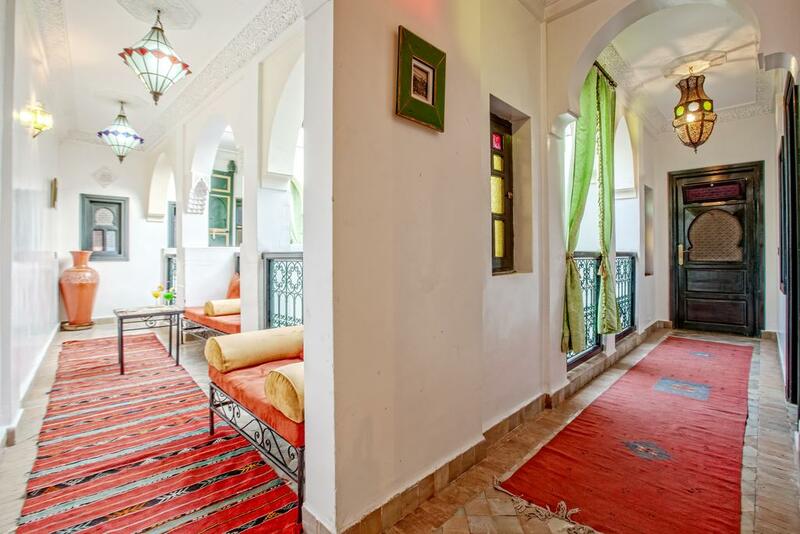 You will find postcards of the riad, and objects of the Moroccan Handicrafts in this beautiful Guest House. 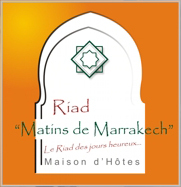 Your Riad “Matins de Marrakech” offers you very pleasant “Matins” with a rich and refined breakfast. 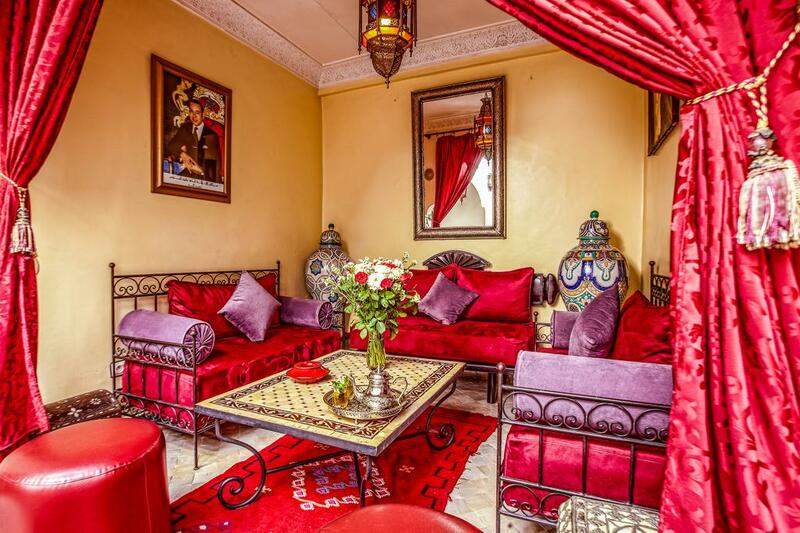 You will take it in its intimate dining room, its peaceful bhou or on its sunny terrace, according to your choice and your mood.